While we're waiting for Google to sort out the mess over suspended Google+ accounts, it's a good reminder that you have the option to download much of your Google+ data with Google Takeout. 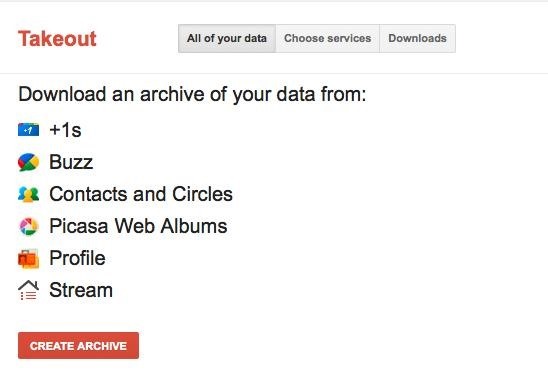 Google Takeout, created by an internal Google engineering team marketed as the Data Liberation Front, is a free service that provides a handy and easy way to download data from your Google+ stream, your contacts and circles, and other information in a zip file. I've seen some anecdotes that indicate that if your Google+ account is suspended, it may affect your ability to use other Google account services, including Google Reader, Buzz, and Google Takeout itself. If you have an unusual name, or are worried that Google might suspend your account, I recommend that you make regular backups of your data in case of suspension (though, if your Google+ account does get suspended, there are steps you can take to get it reinstated). Go to http://www.google.com/takeout. Log in with your Google Account email and password. You can select everything or choose which services you want to download from. Google Takeout does not currently let you download all the data from Google Account services, but you can manually do so with the instructions on the Data Liberation pages on other Google products. Step 3 Click on "Create Archive"
If you've created a previous download, it'll show that one on the bottom. In my experience, the downloads have been pretty quick - less than a few minutes for any download. 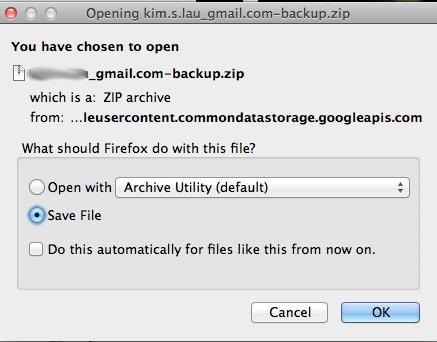 Make sure you save it to a folder on your computer where you can easily access the file. Each product has its own folder. 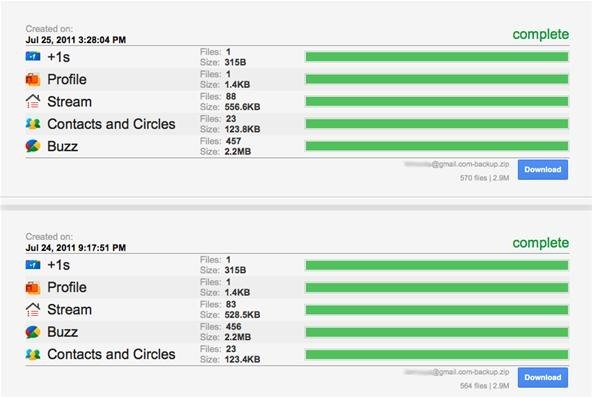 Currently there isn't any way to schedule these backups via Google Takeout, but I think it's a good idea to back up your data regularly anyway. Especially if you have an uncommon name. You never know when/if your Google+ account could get flagged. ok so have got 55 download buttons when i press any of them it does not ask where to save, but a yellow note pops up saying DL is starting but nothing, have DL again and again or new archive that is,.